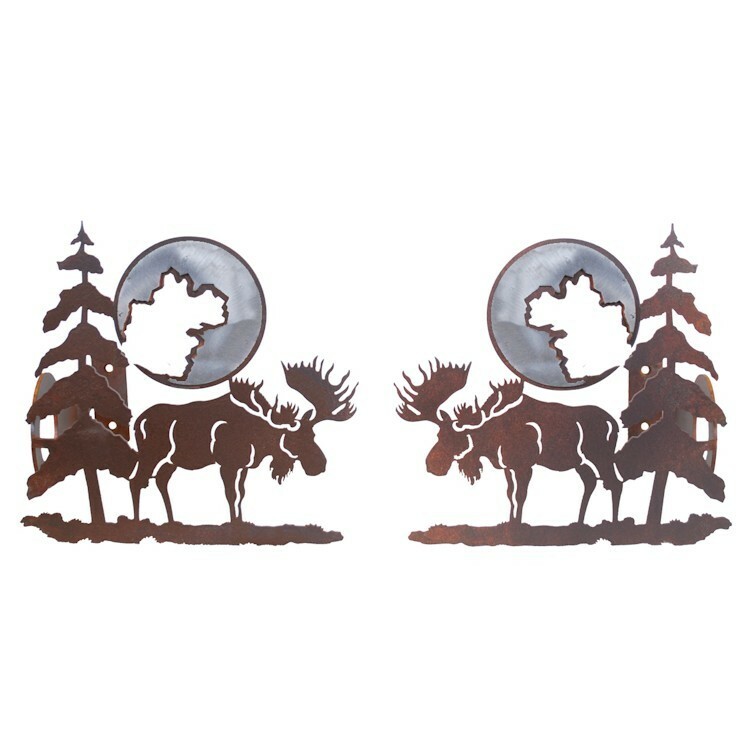 Add a wildlife theme to your windows with these Moose and Pine Curtain Rod Brackets & Tie Backs. Made from hand cut steel in your choice of two rustic designer finishes. 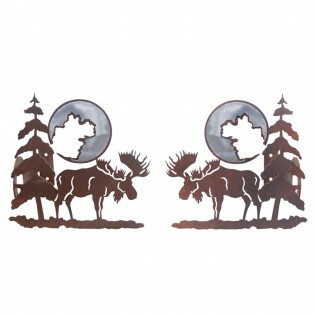 Add a wildlife theme to your windows with these Moose and Pine Curtain Rod Brackets & Tie Backs. Made from hand cut steel with a rust patina.